Your guide to New Music Friday featuring gems from Galantis and Diana Gordon. Fridays can be overwhelming for pop fans. Every week you’re bombarded with a glut of new music, which can lead to ear candy falling through the cracks. I’m hoping to avoid that tragic scenario with The Drop — a cheat sheet of sorts to get you through New Music Friday. By now, you’ve probably heard American Idol winner Maddie Poppe’s “Going Going Gone” and checked out “Come This Far” from The Voice season 13 champ Chloe Kohanski. But that’s just the tip of the iceberg. It has been a long week, so let’s start with a couple of upbeat bops. SHY Martin first made waves as a songwriter, penning hits for The Chainsmokers (“All We Know”), Kygo (“First Time”) and Astrid S (“Bloodstream”). The Swede leveraged that buzz to launch her own pop career and impressed with “Good Together” and “Bad In Common.” The 24-year-old now blesses New Music Friday with “Forget To Forget” — a furiously catchy tune about not learning from your mistakes. Equally addictive is EASYFUN’s “Be Your USA.” The PC Music producer delivers a sugary sweet electro-pop anthem that wouldn’t sound out of place on top 40 radio. Play it loud. Like your pop with an alt twist? Look no further than Maggie Rogers’ new single. The 24-year-old, who became an overnight sensation when a video of Pharrell praising “Alaska” went viral, picks up where she left off with the dreamy, multi-layered “Fallingwater.” This is the musical equivalent of a warm blanket. 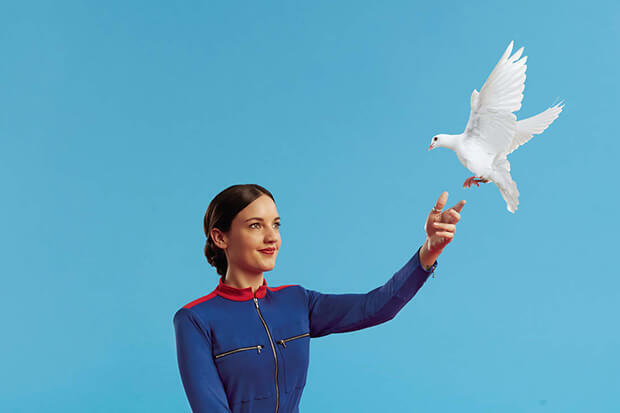 Less cosy is Jain’s spiky “Alright.” The Frenchwoman, who broke worldwide in 2016 with “Come,” shakes off a breakup over exotic, offbeat sounds and hip-shaking rhythms. It’s all held together by her innate pop sensibility and charming delivery. No Rome sounds a lot less happy about the state of his love life on “Do It Again.” The Filipino star, who is signed to The 1975’s Dirty Hit label, sings about his cheating girlfriend over beats produced by the band’s Matty Healy and George Daniel. It is the perfect blend of emo and pop and suggests that he is most definitely One To Watch. A description that also applies to Alec Benjamin. The 23-year-old has been on my radar since dropping “Paper Crown” in 2014, but he has come a long way since then. “Let Me Down Slowly” condenses his obvious songwriting talent into something potent and gut-wrenching. It’s exciting to witness his evolution. In the mood for some vocals? The emotional anthems continue with Donna Missal’s raw and vulnerable “Girl.” The New Jersey singer has been generating a ton of buzz with singles “Driving” and “Thrills,” but this is my favorite to date. She sings about the emotional damage inflicted when “women hate on other women” (her own words) over a sparse, soulful arrangement. Another diva with honey-dipped vocals is CLOVES. After dropping a string of sublime ballads and slow jams, she ups the tempo somewhat on “Wasted Time,” but this still is all about that voice. LAUV is similarly down in the dumps this week. The most prolific artist in pop unleashes dual singles this week, “Bracelet” and “Paranoia,” and they’re equally good. If pressed to choose a favorite, I’d probably go with the latter. It’s more tortured and I like hearing Ari emote over heavier beats. Leland also proves that it’s possible to combine electronica and misery on “Run Into You,” a relatable banger about emotionally preparing yourself to bump into an ex. Personally, I just move cities. Ok, enough of the moody jams. If you’re looking for a party soundtrack for the long weekend, may I suggest Jonas Blue’s latest. A winning collaboration with Jack & Jack, the British producer’s hot streak of pop-leaning bangers continues with “Rise.” This is defiant, uplifting and has one of the better drops in recent memory. More pop, but definitely on the electronic end of the spectrum, is Loote’s “Longer Than I Thought.” Featuring Joe Jonas, this relatable track has all the ingredients of a summer smash. If you like your dance music with more edge, RÜFÜS DU SOL makes a welcome return with “No Place.” The Aussie trio has been MIA for a couple of years and their music has obviously gone through something of an overhaul during their absence. Their sound is still epic and widescreen, but it’s more structured and pop-centric. This could be a big song for them. The same goes for Honne’s “Location Unknown.” The UK duo has been churning out spectacular synth-pop anthems since 2014, but this rivals “Someone That Loves You” as their most instant and accessible. Let’s wind up with a couple of frothy floorfillers. Dutch duo Lucas & Steve deserve major props for bringing Brandy back to the club fold. Every fan of the R&B diva has a favorite dance remix and this feels like one of them on steroids. “I Could Be Wrong” is a lot of fun and a potent reminder that she needs to release a new album. Soon. Speaking of remixes, Taylor Swift’s “Delicate” gets a thoughtful overhaul from Ryan Tedder and Sawyr. Check it out in my playlist below.